Jorge Blanco has developed a design for a GPS handheld device for the visually impaired. It will work by using pin screen impression technology to make 3D maps of the user’s surroundings. The device is designed to look like a remote control with a rectangular pin surface on the top part of the gadget. 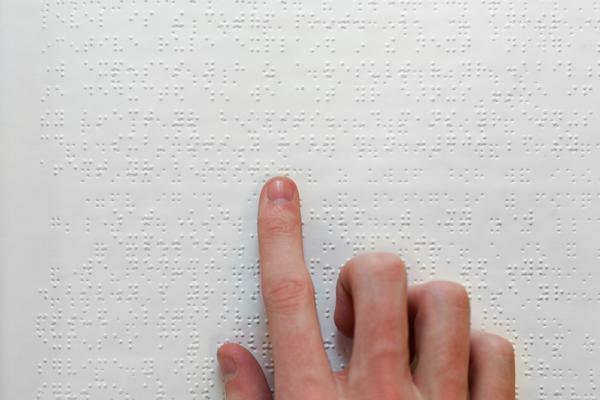 Below the rectangular surface are six Braille buttons. They are labeled “City,” “Discover,” “Read,” “GPS,” “Tag,” and “Time.” On the front of the device there is a camera that is used to record the scene that the user would like translated to the pin surface. On the device’s underside, it has a matte finish to give the user an added grip. There is also a wrist strap to prevent the handheld GPS from being dropped or getting lost. The GPS handheld device can be used as a guiding tool for the visually impaired. Users will be able to translate obstacles, such as cars, onto its pin surface. It will also re-create the entire scene on the pin surface. The user just has to use the pin surface to feel what lies ahead. Jorge Blanco’s GPS handheld device is still a work in progress. In early 2014, Blanco unveiled his long awaited concept for a Google Glass stylus. He called the design “Google Draw” which allows wearers of the Google Glass to write commands down instead of speaking them out lout. This was Jorge Blanco’s personal project and was not related to Google. Fans of the wearable device have been very excited about this project. In 2013, Blanco designed Ohita, a personal replicator and air cleaner. The Electrolux Design Lab 2013 recognized the Ohita as one of the top 20 best concepts at the event. The GPS handheld device for the visually impaired is quite inventive, Blanco is excited about the possibilities it will open up for the visually impaired.